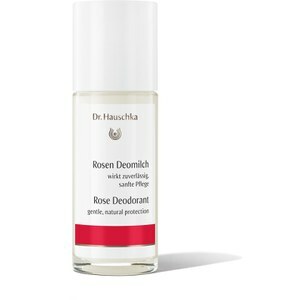 Dr. Hauschka's Sage and Mint Deodorant delivers long-lasting protection against wetness and body odours caused by perspiration. With a powerful, fast-drying formula containing anti-microbial sage and witch hazel essences, the roll-on deodorant gently glides onto skin for ultimate freshness, without leaving marks or stains. Skin will be left with an invigorating mint fragrance.